With questions over the value of a warm up prior to sport there was a genuine need to study this in more detail. Herman et al. (2012) did just that! They performed a systematic review of literature on the topic to determine whether warm up was an effective strategy for reducing injury risk in sport. They adopted a fairly practical approach by including only research that didn't require the use of additional equipment. Considering most people don't have a wobbleboard or ankle disc in the cupboard this is a very sensible idea! Herman et al. (2012) found just 9 studies that met their inclusion criteria. Unfortunately none of these were on runners and included a small age range of just 13 to 26 years old. The application of their findings to runners of varying age and ability may be somewhat limited. They concluded that, “effective implementation of practical neuromuscular warm-up strategies can reduce lower extremity injury incidence“. I've written that last bit slightly smaller in the hope that you won't notice it! But hey, I've pointed it out now so we can't ignore the obvious limitation. Are you a young, Norwegian, female footballer? If not this may not be that applicable to you! Source Soligard et al. (2008) – freely available online. That said, again there may be some general guidance we can gain and the exercises used in their warm up make sense, at least theoretically, even if there is a lack of evidence proving their effectiveness for runners. It appears that warm up has a role in reducing injury risk although that role may be a small one. This is illustrated by the stats from the Herman paper. The 'number needed to treat' ranged from 18 to 729, depending on the strategy used and the injury involved. What this means is that, even in the best case scenario, you'd need 18 participants using a warm up strategy to prevent 1 injury. These findings makes sense – no warm up technique will allow you to run huge distances or make rapid changes to your training without injury. How much you run and how quickly you increase it are more likely contributors. In a recent study by Neilsen et al. (2013) all runners that picked up an injury had a large increase in training in the week prior to their injury. I think it's unlikely an extensive warm up would have prevented this. Warm up might prepare us for exercise but it can't make us bullet proof! Traditionally static stretches have been used as part of the warm up but recent research has suggested these may be detrimental to performance. @AdamMeakins discusses this expertly in his article on stretching. He points to research by Simic et al. (2012) which suggests that using static stretching as the sole activity during a warm up should be generally avoided, while research by Behm et al. (2011) found dynamic stretching did not negatively affect performance. These findings seem to be mirrored in other studies which fairly consistently report reduced muscle strength and performance following static but not during dynamic stretches. My thoughts on this are that muscle needs some tightness to function well during running. Tight tissue can function almost like a coiled spring, providing elastic recoil to help propel us forward. If static stretching is detrimental to this process it may be best avoided. That said, there is always a balance. If a tight tissue is causing pain and this is relieved by stretching this is likely to help performance, and make running much more enjoyable! Injury prevention is a challenging area to study. So many factors are involved that identifying the impact of individual contributors, such as warm up, can be very difficult. Large numbers of participants are required and multiple other factors need to be controlled. The strategy needs to be applied over a long period of time, and participants need to be compliant and consistent, not only with the warm up but with reporting injury. All the articles examined in the systematic review by Herman et al. had methodological limitations, such as lack of adequate blinding, small sample sized and inadequate randomisation procedures. Of course the lack of studies specific to runners is an issue, my understanding is that they weren't any of sufficient quality to meet the inclusion and exclusion criteria. Studies that are specific to runners haven't shown beneficial effects of warm up on injury prevention. Although dated somewhat dated now, the work of Walter et al. (1989) studied 1680 runners and found warm up didn't appear to be associated with injury risk. It should be noted though that this was a large cohort study examining multiple factors and their relationship with injury, rather than evaluating the specific effects of a warm up strategy. In addition van Mechelen et al. (1993) examined warm up in runners but compared 2 approaches, one including stretches and one without. They found a very slightly lower injury risk in the group that didn't stretch (23 injuries compared to 26). However they didn't compare warm up with 'no warm up' and so conclusions on the effect of warm up on injury risk can't be made. Closing thoughts: clearly more research into the benefits of warm up for runners and exactly what it should include are required. 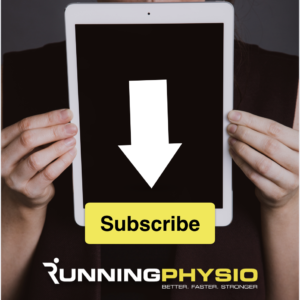 There is evidence that it can have some effect on injury risk and this may be enough to convince people to continue with warm up as a regular part of their running preparation. On a practical level I would recommend sub maximal aerobic exercise, followed by dynamic stretching and sport specific activities based on individual needs. Using the first mile as a slow, 'warm up' mile can also be useful. This approach may reduce injury risk and help performance and will, in many cases, lead to a more comfortable, enjoyable run! To the regular runner like me, all of this can be confusing. Stretch, or not to stretch? In light of the latest research I do some stretching before a race but less than I used to. For a 5K or 10K I will do some jogging before the race to warm up. For a Half or Full Marathon I use the first mile as my warm up period. I think that ramping up the miles too quickly and pushing to hard during a race or run that you have not properly trained for are likely to cause injuries. This has happened to me. Well researched and informative post. Thanks. 1) Warming-up aiming to prevent injuries is an unsubstantiated advice. 1.1 Go back in history and you will find no balanced argument. 1.2 Too many factors are involved in the causal chain that preceeds running-injuries. To approach warming-up as mono causal factor in injury prevention is ridiculous research that is a waste of time and money. Research done shows warming-up-or-not alone has only little or no influence. 1.3 The ‘warming-up prevents injuries’ argument has been called in to promote warming up. Predict havoc if you don’t do what we think is best for you… it is what people do, what parents do to their children, teachers to their pupils and politicians to citizens. 2) Warming-up as injury prevention might be useless but as preparation for a good performance in a race is a different story. Warming up (metabolically and mechanically) is required to perform the best you can. Good point, evidence not supporting warm-up. But there is some, so don’t entirely discount it, it’s the stretching research lacking. Look at for example FIFA 11+ studies, that’s not mentioning warm-up BUT most studies implement the program as a warm–up prior to training. And same with some other studies looking at various stuff, have found eg. agility & neuromuscular work in prevention hamstring injuries,..but the program was done “prior” to training aka “warm-up” although the study didn’t specify that. Your right on the “for performance”, prepare the body for what it needs to do. But the wouldn’t that be injury prevention? I mean if your more prepared for the performance, then you less likely to get injured = basic science! This is a great read – it’s interesting how much debate that there is out there on the topic. Personally, I always warm up as I enjoy the process and I do feel that it gives me more strength for the run ahead. I do think that it prepares for you for a race / run mentally, even if it doesn’t reduce risk of injury.